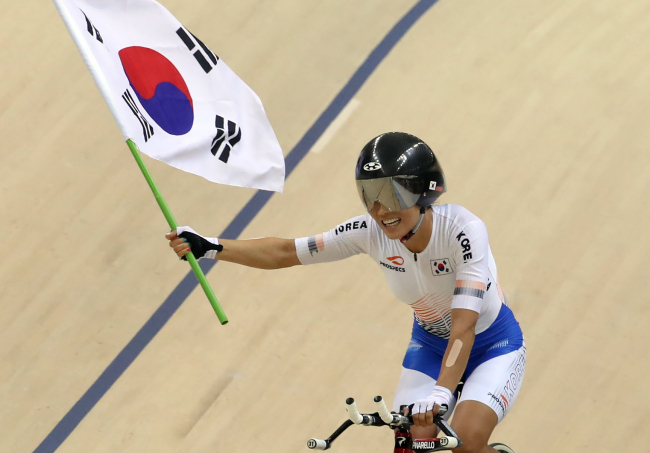 South Korean cyclist Lee Ju-mi won gold in the women‘s individual pursuit event at the 18th Asian Games on Thursday, giving the country its third gold from the track. Lee defeated Wang Hong of China in the two-rider final at Jakarta International Velodrome. In the individual pursuit, riders start on the opposite ends of the track. The race is 3,000 meters long for women, and the race ends when one rider catches the other.